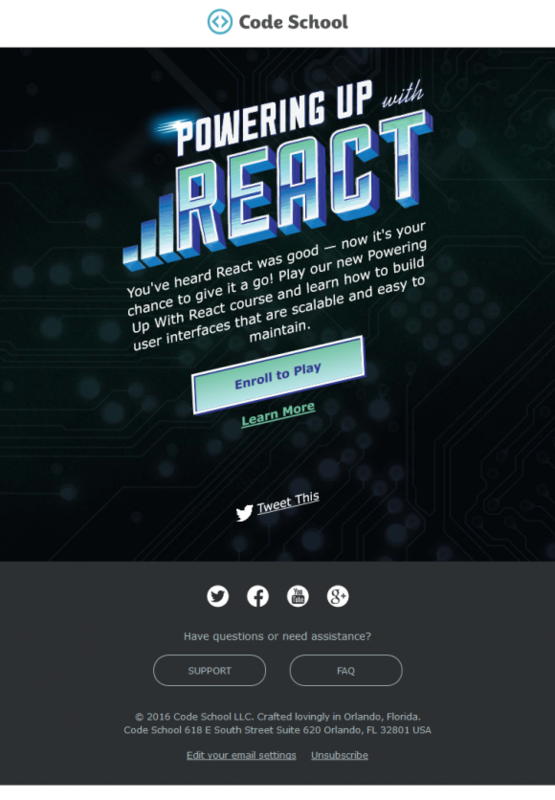 You’ve heard React was good — now it’s your chance to give it a go! Play our new Powering Up With React course and learn how to build user interfaces that are scalable and easy to maintain. © 2016 Code School LLC. Crafted lovingly in Orlando, Florida.